Hard drives are a popular form of storage for businesses and individuals alike. They are simple to use, easy to backup, and can hold terabytes of data. On the flip side, hard drives are also quite vulnerable to failure. 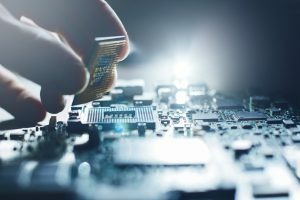 Your hard drive can stop working if it’s bumped while it’s running, the electric motor can fail, or a clogged filter can cause overheating which can lead to a circuit board failure. 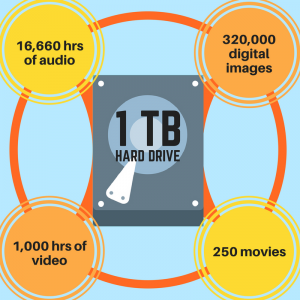 The widespread use of hard drives doesn’t mean they are the safest form of data storage. An overheated hard drive is fairly common—and it can lead to huge data loss. If you notice your hard drive overheating, shut it down. When a hard drive overheats, sensitive, critical components are put in jeopardy. When exposed to high heat, parts of the circuit board might get burned or melt—making it difficult to read or write data to the drive. Prolonged high temperatures will decrease the lifespan of a hard drive. Even the highest quality hard drives are susceptible to the forces of heat, so keeping your drive cool will simply make it last longer. If you notice your hard drive getting really warm, or if you hear unusual noises like humming or clicking, turn it off and wait for it to cool down. Booting up a hard drive that is warm is never a good idea. Once it’s cooled down, if you try to boot up your drive and it isn’t recognized or won’t start up it could be damaged. If you want to see the data on that hard drive again, it’s best to take it into a specialist. Data on failed hard drives can often be recovered, but a professional who can correctly diagnose the issue and replace the necessary parts should perform the work to ensure no further damage is done. If your hard drive has not overheated, it’s a smart time to come up with a backup plan and take preventative measures to ensure it never overheats. Take care of where you keep your computer and external hard drives. Never store them in areas that get above 75 F for extended periods of time, such as a car or in direct sunlight. If you have a laptop, don’t use it in your lap or lay it directly on your bed. It will produce heat and that heat won’t escape easily, endangering your hard drive. If you find yourself often using your laptop under these circumstances, consider buying a fan that sits under your laptop to keep it cool and portable. Dust your computer frequently. Ventilation areas can easily get blocked by dust overtime. Regularly dusting your devices will make a huge impact on their lifespans. If you store important files on your hard drive, back your hard drive up. Back up your primary hard drive to a secondary one, or if you only have a few files, you can even use a USB. For larger data quantities read more about data backup options here. 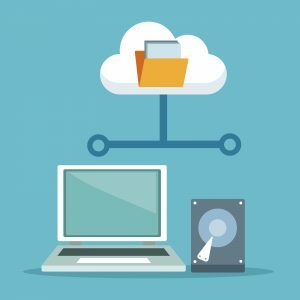 There are plenty of ways to backup your important files, and it’s a critical component of a stable, well-run business. Most backup services are fairly affordable, offering no excuse to not take part. If you would rather not risk the issues of hard drives at all, you have plenty of other data storage options. Today many people are turning to the cloud. The cloud is simply a system of offsite servers that use state of the art technology and are constantly surveilled and maintained. The cloud is an excellent source of cheap and accessible storage for businesses and individuals. Large companies that need high storage capacities often use offsite tape storage. Backup tapes are incredibly reliable and offer a fairly inexpensive storage option. Need a Better Way to Store Your Data? Need to ensure your files are stored safely? Hard drives work for many people, as long as care and attention is given to them they can run properly for years. But Record Nations understands that everyone’s needs are different. Call us at (866) 385-3706 or fill out the form on the right to get in touch with our records storage experts. We look forward to helping you find the best data storage solution for your unique needs.